>> Thanks to my friend Maria for noting that the table is almost perfectly divided along Teams Jacob and Smokey. >> Did Smokey dangle the Timeline X carrot to get Sayid to join his side? It would be interesting if Smokey knows about Timeline X and if he could send Sayid there. 1. Which I believe to be a basic cast photo promo because everyone in the picture is looking at the viewer. 2. 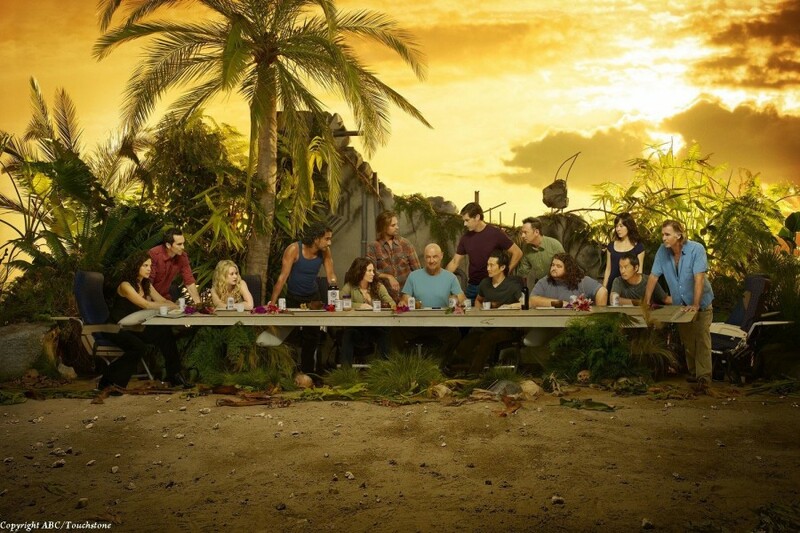 A basic reproduction of the real Last Supper painting using our Losties. 3. The picture that seemed to draw the lines between good vs. evil. The producers of the show were adament about being involved in this photo shoot, which tells us that they were definately trying to send a message. Based on what I’ve seen from Richard and Ilana so far, I don’t see them going with Team Smokey but I guess it’s still early in the season to make a final judgement. In fact, I wouldn’t be suprised to see Ben or someone else flip flop from Team Jacob to Team Smokey. And speaking of Ben, it just felt weird last night watching him looking like a “good guy” being scared of Sayid and running away from Smokey with the rest of Team Jacob. I don’t see “Good Ben” lasting for too much longer. Hey Ben, have you seen this blog? It’s kind of like what you are doing here on your blog, except he DIDN’T go back and watch all the other seasons. So he’s trying to figure everything out based on this season alone. It’s well written and funny. I think Ben dying now would be less drmatic since he has kind of wimpered into the background this season (with the exception of Substitute). I didn’t write too much about Other Ben because I wanted to do a whole blog about him. I’m not as big of an Other Ben fan as everyone else because he doesn’t seem like a real character to me. While he is extremely cool, he has no known motivations and you don’t ever know what he wants. Other Ben has been used as a plot device and he has been whatever the writers needed him to be from week to week. 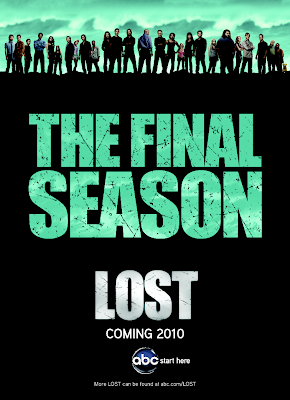 omg i don’t know if i can watch Lost with you anymore….perhaps this is a bad side-effect of watching episodes in such a flurry, no time to savor the awesomeness of Ben. To be fair, Ben was only supposed to be in that initial 3-story arc – someone else was meant to be the leader of the Others (I think they might even have wanted to introduce Jacob at this point) – hence all the lines about “him” not being a forgiving man. But Michael Emerson basically hit the ball outta the park and the writers re-wrote EVERYTHING to include him as a main character. So, you are kinda on the money there about him being more of a plot device than a character. Thanks for the shot out.. But I have been saying that Jacob is not the one giving u a choice, just manipulating everyone to do what he wants. Smokey on the other hand has been giving everyone he has dealt with a choice, the team that came in the chapel, he gave Richard albert a choice, Sawyer, and the people in the temple.. You know I am not religous by no means but the show seems to be having a religous guideline with good and evil. And if u remember in the bible, the exodus from the egyptians, passover, and the wiping out of the cananites for the promise land, they were all givin a choice before they were killed and defeated..
Also now Kate is with team smokey, which eventually she will go against.. And when that happens she may be in danger, which means Sawyer will try to save her and fall in danger with her, and if the girls hate Kate now they will really hate her if she causes ur man crush (Sawyer) to get killed..
Nice call on Smokey dangling the timeline X carrot. Also, good shout on Smokey and Jacob having switched places, as opposed to one dying. Maybe now Smokey will be trapped as Locke and Jacob will gain the Smoke Monster super powers? It’s part of my grand theory at this point, because Jacob doesn’t seem very dead! Team Jacob! He foresees progress. fLocke needs to be locked down.